With the new release of Speedify 7.4, you can set a custom DNS server to use with your VPN connection. This is an important feature every VPN should have – keep reading to find out why. A VPN protects your online privacy by encrypting all your Internet traffic. That’s the theory of it, at least. In real life, some VPN services allow Internet requests to go outside of the VPN tunnel. This is called a DNS leak. It means that your ISP, or any other device that’s eavesdropping on your traffic, can actually see the Internet requests made, as the browser or the apps on your smartphone send the DNS queries directly to the ISP and not through the VPN tunnel. The Domain Name System (DNS) is the phone book of the Internet. This is the service that turns URLs like “speedify.com” or “google.com” into IP addresses. These addresses are then used to connect you to the right server. We will look at DNS servers from 2 main perspectives: speed and security. Whenever you try to connect to a website or service, your device queries the DNS server to find out the IP address. If that DNS server is located close to where you are, things will load quickly, whether you’re browsing, live streaming or playing online games with low latency. If the DNS server is far away, there will be lag added to your connection. However, in some cases it’s recommended to use a DNS server from a certain country to avoid content restrictions. This is because some content services check the DNS server along with the IP address of the client. The conclusion? Being able to use a custom DNS server can speed up your connection. VPNs are the best solution to protect your online privacy, as they create a tunnel between your computer and the Internet. Unfortunately, not all VPN services make your online activity fully anonymous. Here’s how to find out if you’re exposed or not by DNS leaks. 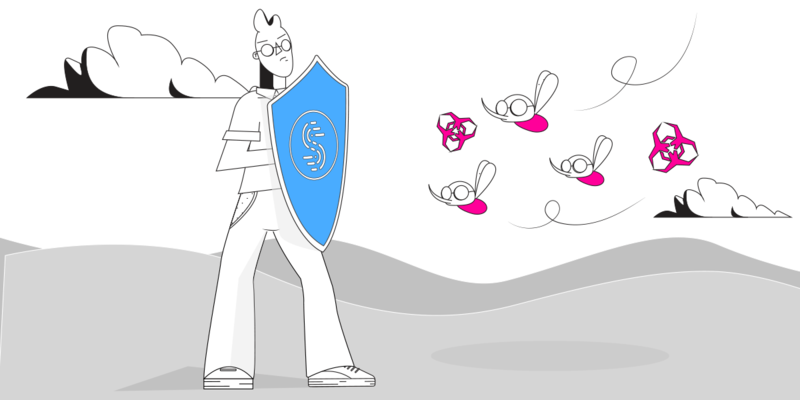 It’s crucial to get DNS leak protection from your VPN service. Even if you’re using a VPN to encrypt your traffic, it may leak DNS requests (see above). The solution to stay 100% anonymous online: use VPN custom DNS. Doing so will keep DNS requests within the VPN tunnel. What’s the Fastest DNS Server You Should Use With Your VPN? 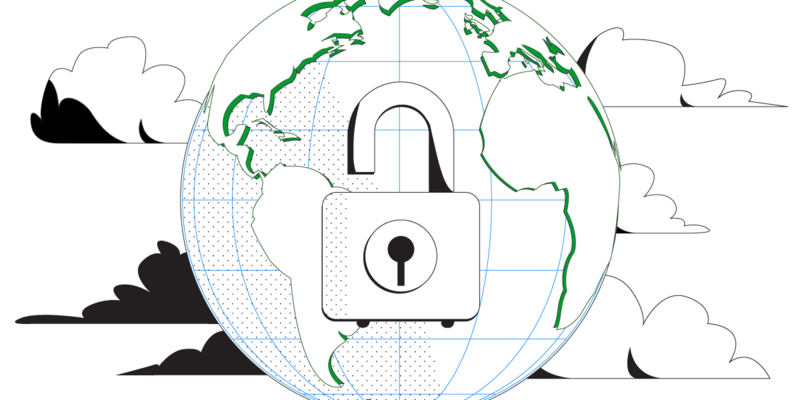 Speedify bonding VPN encrypts and protects your DNS traffic. No one can spy on your Internet connection to see what sites and services you’re using. This is very useful for avoiding ISP throttling. AdGuard DNS – a DNS service with a built-in ad blocker. Websites that are known to serve ads can’t be looked up, leading to fewer ads in web pages. Need a different DNS server? You can also select “Custom” and enter a DNS server of your choice by IP address. Speedify makes your internet secure, stable, and fast with the magic of Channel Bonding--but how? First, Speedify establishes a connection to one of our Speed Servers in the Cloud. This acts as a middleman between you and the rest of the internet, keeping your web activity private and secure. Next, the app works with the Speed Server to intelligently spread network packets among all your available internet connections. And presto! 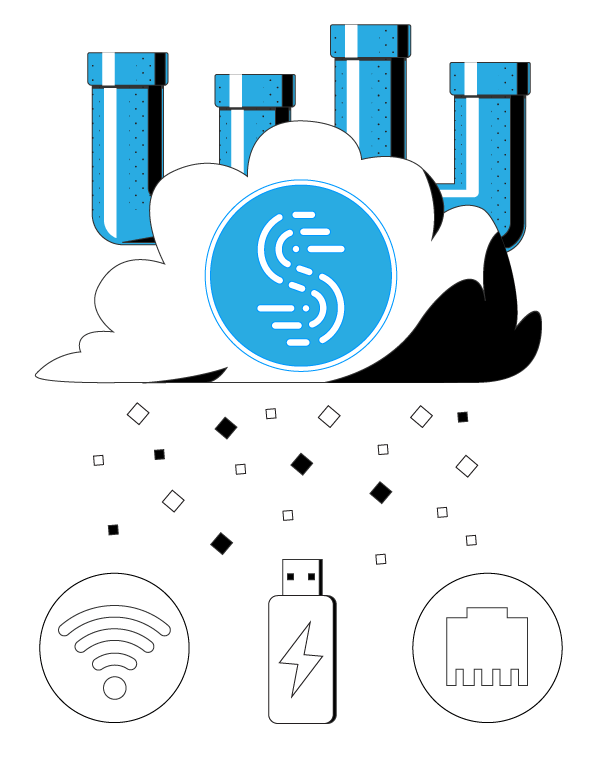 Speedify is able to provide the combined speed and stability of all your internet connections—unlike any other VPN on the market. If you’re not using a VPN custom DNS, you need to fix that! This article from Gizmodo includes brief guides on how to change DNS servers on Windows, macOS, Android and iOS. Additionally, see if your VPN service supports custom DNS servers; if so, use them. 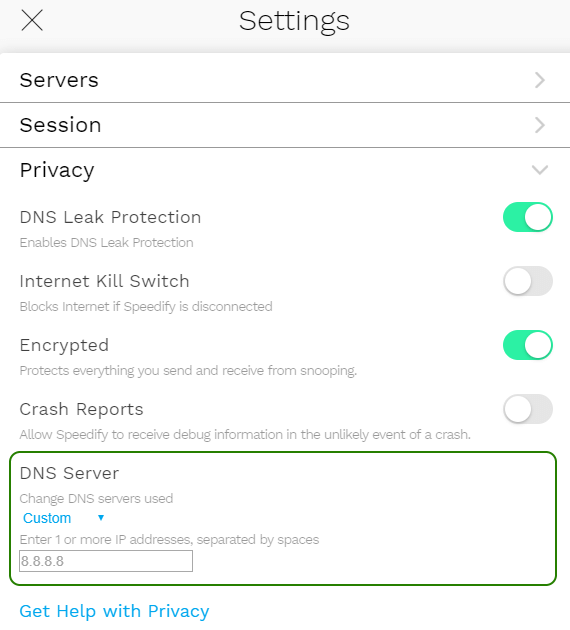 With Speedify, it’s very simple: just go to the Settings > Privacy screen and select your DNS server. Need faster and more secure Internet? A VPN custom DNS can do the trick, if chosen wisely. Does your VPN support this?